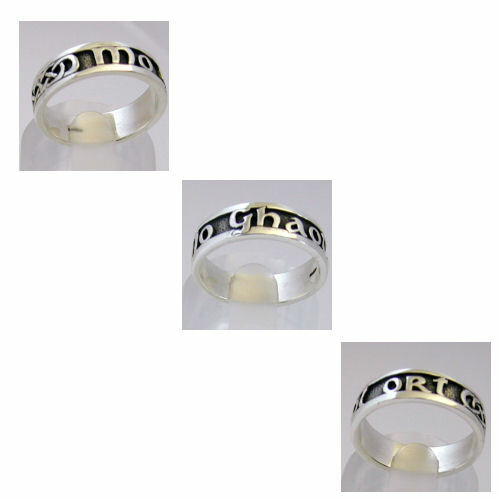 This classic gaelic phrase Mo Ghaol Ort (pronounced Mo Goul Orched) is enscrypted into our celtic design band. The phrase means my love on you !! The ring takes 4 weeks to manufacture.